I often turn to developments in propulsion when looking for innovation in the marine industry. IBEX always delivers. I found three interesting products this year that deserve some recognition. The EP-1000 electric motor from Elco Motor Yachts becomes the company’s most powerful electric motor to date, generating giddy-up comparable to a 100-hp diesel. It takes two to three hours to charge, and operating time ranges from two to three hours cruising on batteries only. You have continuous cruising power with a genset. The engine’s first job will be to power a 1941 Elco cabin cruiser. “We will have a very old boat with the latest in electric propulsion,” Elco East Coast representative Neil Satterly told me at the company’s display at IBEX. The Elco suits slower, larger boats from about 50 to 85 feet, such as trawlers. In contrast, the second product I’d highlight serves smaller, faster boats with high-horsepower outboard propulsion. Mercury Marine promises a 10 percent improvement in fuel economy with its Enertia Eco Prop. 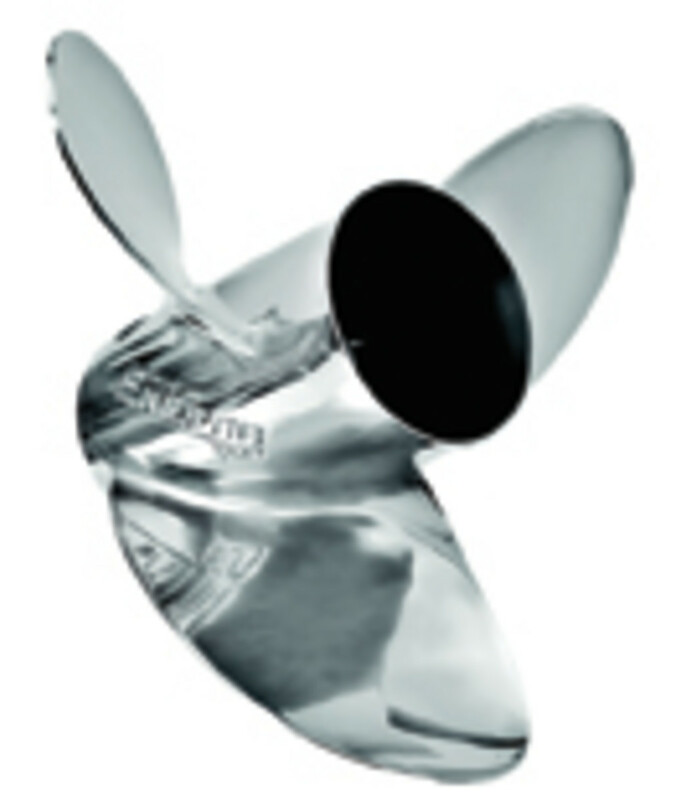 The Enertia propeller enters the market in January, teaming with another fuel-efficiency product for Mercury. The Eco display identifies the engine’s most efficient speed, rpm and trim angle for the boat operator. Next up: a product that comes from an electronics company, but falls into the propulsion category. 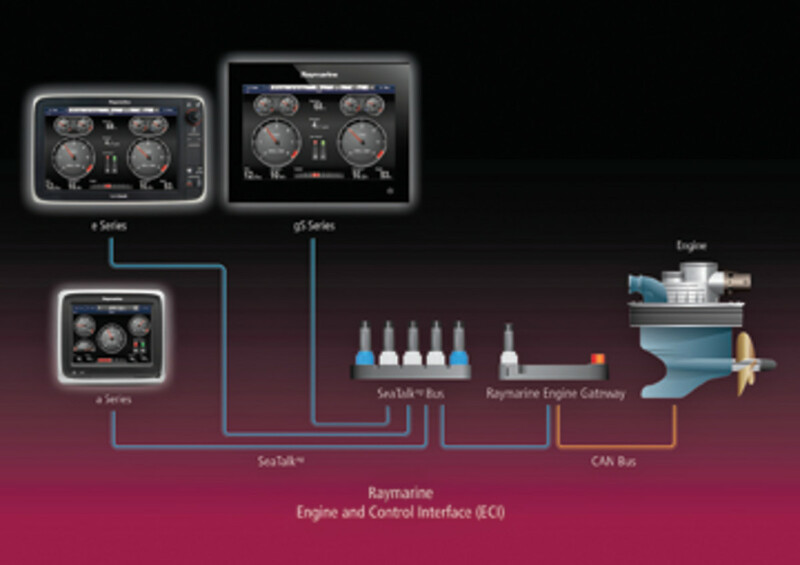 Raymarine’s engine and drive-by-wire steering interface — called the ECI-100 — aims to help boatbuilders and installers of electronics bridge the gap between the latest engines and steering systems and Raymarine products. The gateways can cost thousands of dollars. The new ECI-100, which is priced at $299, gathers and connects engine information to deliver performance data, fuel consumption and alarm information through Raymarine multifunction displays. The ECI-100, which hit the market in October, works with Volvo Penta, Yamaha Marine Command Link Plus, Caterpillar and Yanmar engines and interfaces with Volvo Penta IPS and Yamaha Helm Master autopilot systems. Compatibility will grow, so the company urges checking with www.raymarine.com for updates. Naval architect Rob Kaidy, CEO of Ocean5 Naval Architects in Stuart, Fla., was at IBEX with a seminar on “Advanced Topics in Stepped-Hull Design.” More builders are offering stepped hulls, hoping to provide boats with higher speeds and efficiency. Kaidy wanted to separate fact from marketing hyperbole. I plan on putting together an article about this design technique’s rise in popularity; its pros and cons; the characteristics of an effective — and non-effective — stepped hull; and which types of boats benefit most from the design.